As a high school student, Kawashima studied as a magician’s apprentice at Magic Bar, Osaka. 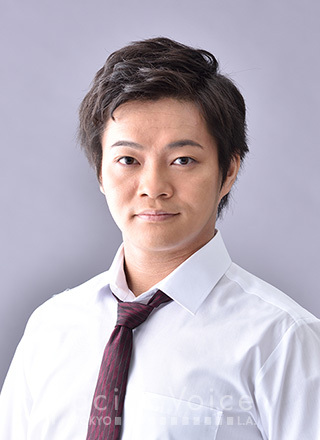 He then graduated from Chuo University’s Economics Faculty in 2008. Next, his unique background led him to enter the third graduating class of TOHO Musical Academy. In March 2009 he appeared in the role of Thenardier for the graduate production of “Les Miserables,” and then opted to further his studies at the academy, enrolling in the Advanced Course that he completed in 2012. Since then, he has appeared in hit productions such as “Les Miserables”, “Miss Saigon” and “Jekyll and Hyde”, and has been appointed as a vocal captain thanks to his much applauded singing technique. "STAR PINE’S CAFE Special Musical Live 2014"